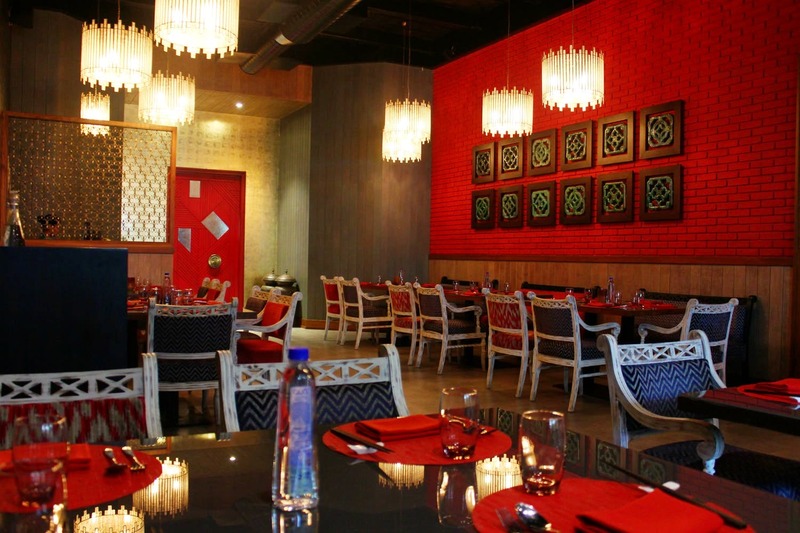 Kolkata's oriental food scene is a diverse beast. Dim sums from the hole in the wall take away joint to pad Thai from the upscale restaurant - chopsticks held right, we are ready to chomp. When Kenilworth's Mae Kong opened doors to serve us that we fell in love with veg Oriental faves like never before. But who can deny the misgivings we had for withholding non-veg for us in such a tasty way. Somethings gotta give - only this time Mae Kong is feeding us the whole bounty of non-veg and veg delicacies from far east. The clue's in the name on what all you can binge on here. Six different countries and one ritzy restaurant - when you are up for exploring River Mekong's plenitude, you have to head over to Kenilworth. The lengthy vegetarian menu could already match up the musings of Confucius, but we are certainly not complaining with new additions of non veg extending it. Vietnam, Thailand, Cambodia, Laos, China and Myanmar - the best of orient makes the spread. The deep red interiors with hints of gold and vintage decor accessories that sings of an Oriental influence, will get you half way to the East, and the rest you can complete with their hargao, dumplings, rice bowls and spring rolls. Best bets are prawn hargao, the refreshingly tasty chive dumplings, tender and tangy pork Rendang that goes best with jasmine rice. For a visit next, remember to try the miso tofu bao and Mapo chicken with burnt garlic rice. A meal without desserts is only half a story, and when at Mae Kong let yourself have a meltdown with their red velvet choco-lava Melting Moment dessert.